Welcome to out stop on the Bugs & Hisses Giveaway Hop Hosted by The Kids Did It & The Mommy Island. After you check us out, go look below for the list of the other bloggers to check out! My fave is taking my kids to our local corn maze. Carving pumpkins as a family! We always make our own costumes every Halloween! We have been trick or treating with the same family for the last 9 years! We eat dinner, then go trick or treating! My favorite Halloween tradition is going trick or treating with my grandsons! Our family tradition is to have a tacky party and it is so much fun! Everyone dresses crazy and it's fun to see what everyone comes up with! We have a lot of fun at the annual neighborhood Halloween party. I love carving pumpkins and handing out candy! My favorite halloween tradition is the costumes. I love helping the kids get ready! I love wearing a costume for Halloween. It would be carving the pumpkins. Then when we are done with that I make roasted pumpkin seeds. The kids love them. I like buying discounted candy after Halloween ends! The whole family going trick and treating with the little ones!!! My husband and I take our daughter trick or treating. The kids come home and we either pass out candy and watch scary shows or now that I have a granddaughter we will probably walk around this year. Passing out candy to the trick or treaters. 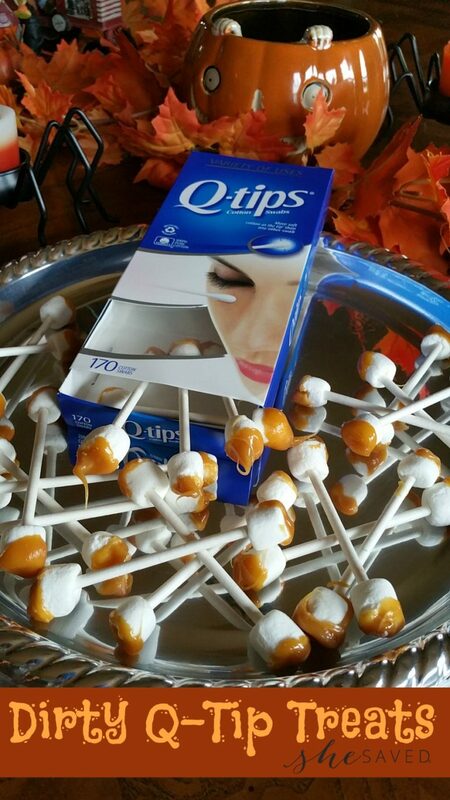 I love handing out treats to all the little trick or treaters. We take our daughter trick-or-treating every year to the same neighborhood. It's fun because all the houses really get into decorating their homes and every house is close. That's about the only real tradition we have for Halloween. Staying up past my bedtime watching scary movies! I just love dressing up honestly! Even if I don't have a party to go to, I LOVE dressing up! I am such a child! haha God bless everyone! Trick-or-treating with my children and helping them find the perfect costume. Going to the pumpkin patch is my favorite Halloween tradition! Costumes and Trick or Treat! Thank you for the giveaway! Carving pumpkins with my kids! Taking my girls out trick or treating. Thank you! My favorite Halloween tradition is that we always play our halloween music, carve the pumpkins and then roast the pumpkin seeds. Taking my kids trick or treating! I like carving pumpkins with my family and trying to roast and burning the pumpkin seeds every year. My favorite tradition is carving pumpkins with the family. I just love decorating our house for Halloween. I love carving the pumpkins! I enjoy handing out candy to the trick-or-treaters. I try to take the kids somewhere with a hayride, maze and other activities. Making homemade costumes that can be passed down from children to grandchildren and beyond! We hand out to the trick or treaters and love seeing the creative homemade costumes. I like the dressing up in costumes. We go trick or treating and out to dinner. We love carving/decorating pumpkins as a family! I love handing out Candy by Candlelight outside while reading an Anne Rice Book. Thanks for the Giveaway! visiting the pumpkin patch is my favorite tradition! i love it. we've managed to pull it off in every state we have lived in and it just gets better and better. Going Trick-or-Treating is my favorite tradition. I like to carve the pumpkin and hang our halloween lights near the front door. They have little ghosts and pumpkins that cover the bulbs. Our Halloween tradition of trick-or-treating in our old neighborhood was my favorite. Now our boys are too old for trick-or-treating. I'm hoping to start a new tradition of trick-or-treating with my grandchildren! The time honored standby trick-or-treating is my favorite tradition. My favorite Halloween tradition is getting together with family to carve pumpkins. I like seeing my kids dress up to go Trick or treating and being so excited. I like the parties because friends and family get together, cook, and eat! PAssing out candy to trick or treaters! My favorite tradition is handing out candy to the trick or treaters. I love seeing the kids in their costumes. We love decorating for Halloween! I love getting dressed up for halloween. we also attend a big pot luck dinner. Buying candy a week before Halloween, eating it all myself and then buying more the day before. I like carving pumpkins with my kid on Halloween. I really love baking and making silly/scary treat during the halloween season. My favorite Halloween tradition is going out to get the pumpkin followed by the carving of the pumpkin. Our favorite tradition is bobbing for apples at our Halloween party! My favorite halloween tradition is turning my yard into a spooky graveyard. My favorite halloween tradition is carving pumpkins. We watch scary movies before saving the original Halloween for Halloween night. My sister in law usually has a halloween party. I love that qtip treat...how gross and funny! My favorite Halloween tradition is eating candy corn and watching horror movies. I love seeing all the kids (mine own included) dressed up in costumes! My favorite tradition is baking Halloween treats and decorating the house! Love dressing up the kids and seeing all the happy smiles that evening. so cool for this season...pranks & more!!! My favorite halloween tradition is watching scary movies. My favorite Halloween tradition is taking my daughter and her best friend to this really large trunk or treat where they also have games, food, hayrides, and bonfires every year. I like going to the Pumpkin Festival. I have a great banana costume that is lots of fun. I love handing out candy to the adorable children in their costumes! Pigging out on candy! Scaring people! When I was a kid it was coming home and sorting my candy and trading the "bad" stuff to my brother for something better. We go to Halloween Horror Nights at Universal Orlando every year. I started going in 1994 and I have been every year since. Oh we love going to the pumpkin patch and picking out our pumpkins! And...we always get a pumpkin shaped pizza for dinner Halloween night! Decorating the house and carving pumpkins. We enjoy decorating the house, getting costumes and candies. I like to carve pumpkins each year. Has to be a different design every time too! We don't celebrate Halloween where I live, we have something similar in January... but the pumpkin carving sounds so fun, I've always wanted to try! My favourite Halloween tradition is actually after Halloween ~ picking up candy when it is really marked down! I don't really have one. We don't do too much for Halloween. NO little ones yet and we live in the boonies, so no trick-or-treaters. :( But I was thinking about getting a couple of pumpkins this year and challenging my hubby to a carving contest!!! My favourite Halloween tradition is craving pumpkins with my kids. I love taking my grandson to the pumpkin patch to pick out his pumpkin. Now that my grandkids live out of state, it's pretty mild here. I still enjoy decorating though. My favorite tradition is dressing up for the kids. I like carving the pumpkins. Favorite Halloween tradition is watching scary movies with my best friends! Are favorite is to make carmel apples and carve pumpkins. Every year we take all the kids to the pumpkin farm and then go to one of our houses to carve the pumpkins together! My favorite Halloween tradition is decorating the yard with my family. My favorite Halloween tradition is making cakes for the youth center and the senior citizen centers. I love watching scary movies on Halloween. I love buying the Halloween treats! Just an excuse to stockpile chocolate. I like to eat candy corn while I watch scary movies. My favorite tradition is my kids dressing up and going to Halloween get together's. I love having a scary movie marathon! WATCHING ALL OF THE SCARY MOVIES. Going out trick or treating with the kids. We put a great deal of effort into the kids costumes every year & our favorite tradition is our Halloween photo shoot of them wearing the costumes. Halloween parties are the best when everyone gets dressed up! My favorite tradition is watching scary movies. I am in great need of a nice new costume to get my nephew ready for Halloween. This prize would help out in doing so.